Because its our mission to help you spend more time fishing we always have our ears open for feedback. We constantly work to improve both products and the delivery of those products to you in a way that we hope helps members of the Bullbuster community spend more time fishing. We hope you enjoy our fishing lines and the time money you can save by buying directly from our factory. 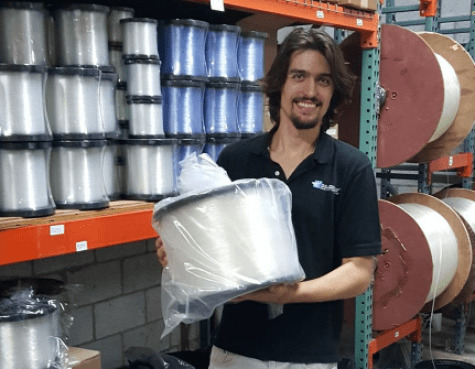 For the past few years many shark fishermen as well as some commercial fishermen have been asking us to come out with a 300 Lb fishing line in a bulk spool. With the release of our bulk 22Lb spools (mainly for land-based shark fishing) but many commercial fishermen have been buying up these spools as well. This line has a whole new feel to it. Thinner, Stronger, Better. A feel that has taken us the past 5 years to develop keeping land-based shark fishing in mind. We hope you enjoy it and we hope to see some more monster sharks being landed on our 300Lb mono! 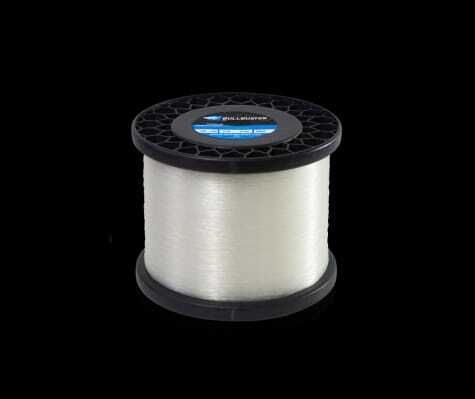 GET A HOLD OF YOUR 22LB SPOOL OF BULLBUSTER MONOFILAMENT! Below is our leader coil, we make them in 100 yard coils because we have found that with lighter monofilament larger coils don't come out as well. If you need them larger we can make them (only for customers requiring significant quantities of these coils e-mail csbullbuster@gmail.com for this type of inquiry). Our goal is to help millions of fishermen spend more time fishing. We hope that we can start doing that by providing you with excellent service and fast delivery of our brand directfishing lines.